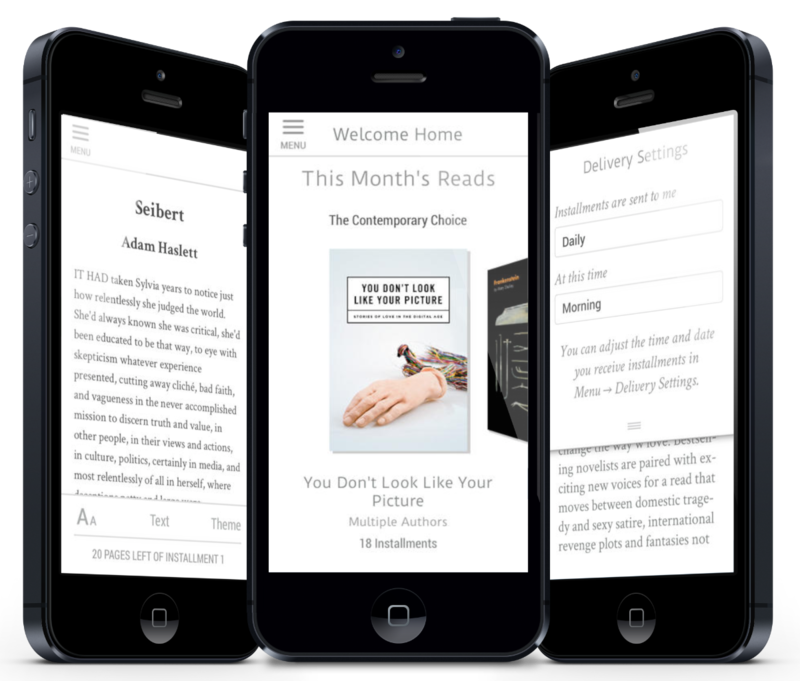 Rooster is a mobile reading service that makes great fiction a seamless part of your life. For $4.99 a month, Rooster delivers short, satisfying installments that take an average of 15 minutes to read but build into two book-length works a month. Whether it’s on your morning bus ride, that long line at the DMV, or those minutes before bed, there’s a story to keep you company anytime, anywhere, right on your smartphone.